The Squadron Football Supporters Club Inc held their Annual General Meeting on Sunday 22/09/13 to elect new committee members and discuss ideas for the season ahead and beyond. First and foremost, we would like to acknowledge the work of all past committees and members without which we would not even be in the position of being able to grow an existing supporters club as opposed to having to start again from scratch. Feedback from the Active Support Forum suggested that The Squadron has some work to do to refresh its image and involve a larger proportion of Jets supporters in the organisation on a more consistent basis. We thank everyone who did turn up and get involved, the discussions were wide ranging and a number of intiatives and ideas will be implemented over the coming season. Tennis Club: The “Tenzo” has undergone something of an upgrade in the offseason and now has a Chinese Restaurant, lounges along the main bar windows AND Foxtel. 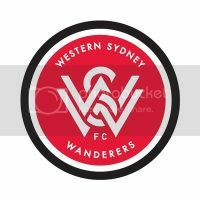 We will be actively promoting for all Jets supporters to join us at the Tenzo for pregame at home fixtures and now also to watch away fixtures as well. The Tenzo is quite keen for all Jets supporters to become involved so we invite supporters of all ages to come along. Under 18’s are now allowed inside, however they are prohibited from approaching the bar and poker machine areas and must be accompanied by someone over the age of 25. We will be congregating in the back area of the club (the dance floor in front of the stage) to get some songs and chants happening pregame, as well as for general supporters to meet and have a chat with existing Squadron members to better get an understanding of active support. Memberships: We are opening up memberships in The Squadron for anyone who is interested to apply and help grow active support or even if you just want to contribute monetarily to the tifo displays The Squadron designs, manufactures and deploys. The membership fee this season will be $10 and will be valid until 30th June 2014. Membership fees will go towards tifo production costs (large scale displays, flags and poles, banners, drums and megaphones, etc) and also newcastlefootball.net running costs (domain name, site hosting fees, upgrades, etc). Your Squadron membership will include a membership for the Tennis Club as well as entitle you to a discount on Squadron supporter merch over the season (for example the supporters scarves). A separate Tennis Club membership and card will be issued and is for over 18’s only. We anticipate the memberships being available from round 4 (Mariners) during pregame at the Tenzo. We are also lobbying the Jets on behalf of the active supporters on a number of ideas and issues, we will advise the outcomes of these in due course. These include, but are not limited to, organisation of away support buses to games in NSW, promoting ALL supporters being able to bring in their own banners and flags and for the creation of a Jets Supporters Committee to help bridge the divide and engage the club with all supporters (not just active). The Squadron has been responsible for two of the biggest tifo displays in the Hyundai A-League – the giant gold pullover at the 2008 Grand Final and the NEWCASTLE drop down display against Melbourne Victory in 2011. The Squadron has also manufactured and deployed a large number of smaller tifo displays and on a continual basis punches well above its weight in comparison to other active support groups in the A-League with larger populations to draw from. This does not happen without a group of committed individuals creating them, and more people are always needed and welcome. Come along to the Tenzo pregames and have a chat to Squadron members. There will also be an announcement in the coming weeks regarding an Open Tifo Day where any supporters can come along with a design for a two stick standard, banner or flag and we will help you make your design into reality for you to bring along to future Jets games. We will provide the materials, paint, etc for this to occur so all it will cost you is your time and effort. We hope that people will come along and get involved, either to the Tenzo pregames, bay 1 or 2, the tifo days or all of them. Without more people putting their hands up to help out, join in and take part, we cannot grow and move on to bigger and better projects and ideas. Feel free to also jump on the forums at www.newcastlefootball.net and take part in discussions online. It is not just limited to active supporters, and it has a thriving local football community.